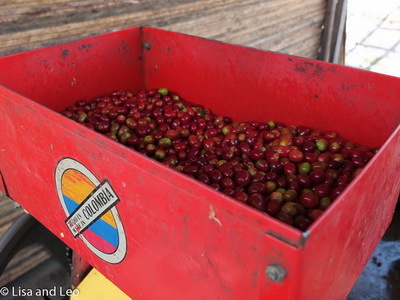 The outside fruit or pulp is mechanically removed from the coffee bean. After pulping, the cherry, now called parchment, is washed. 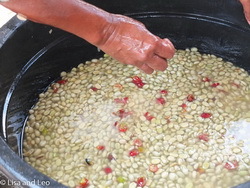 There is a coating on the parchment called mucilage that is the fermentation catalyst for the bean. 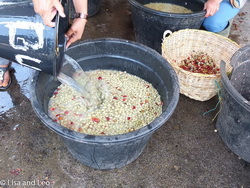 Semi washing this mucilage off of the parchment immediately after pulping is the Sumatran method. 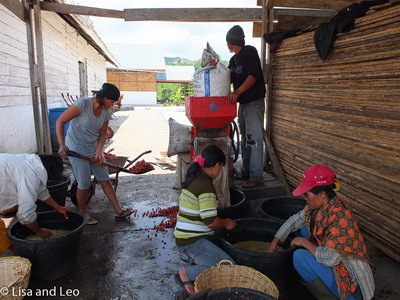 The Semi washed coffee is held in containers overnight to allow some fermentation to take place. There is no water in the containers, just the semi washed parchment coffee. Heat builds up within the container overnight and the fermentation process begins. 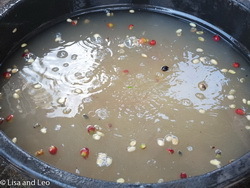 The next morning, the parchment is washed again to remove the remaining mucilage and stop the fermentation process. The parchment is them placed on patios, drying racks or tarps on the ground for partial drying to below 50% moisture content. 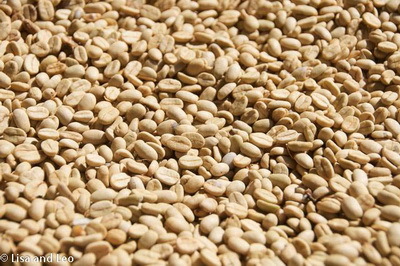 The coffee parchment is then sold in this wet form by the farmer to either their collective group or at the weekly market. 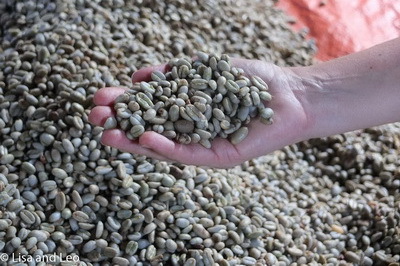 The ‘wet’ parchment is then dried down to about 25% moisture content and wet hulled. 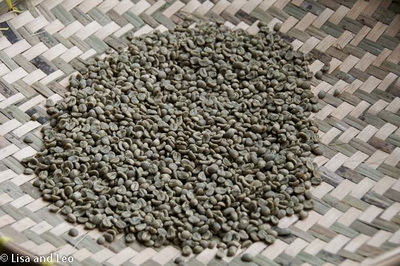 The hulled parchment, now called Asalan in Sumatra, has reached the green bean phase of processing. 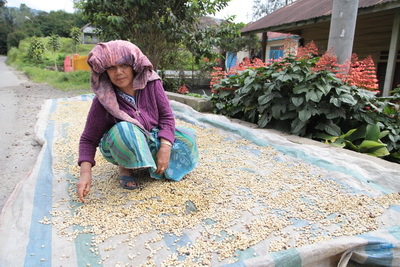 The wet hulled beans are placed back in the sun to dry them down to export ready moisture content of around 12%.This process gives Sumatra coffee a fuller body and lighter acidity. The ‘wet’ parchment is sun dried down to 12% moisture content and dry hulled. 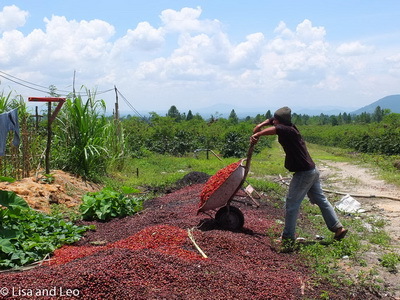 This process gives Sumatra coffee a more balanced body and acidity. Taste is subjective, we all know what we like.